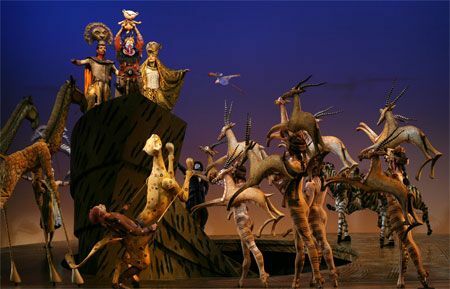 On Sunday, October 2, 2011 at 1 p.m., The Lion King, at the Minskoff Theatre, was the first show in Broadway history to offer a performance tailored to the needs of adults and children on the autism spectrum. The Theatre Development Fund, a not-for-profit performing arts service organization whose mission includes making theatre accessible for all audiences, sponsored the special performance. TDF bought out the entire Minskoff Theater, which has about 1,600 seats, and sold tickets at a discount. TDF worked with autism groups, including Autism Speaks, to help spread the word. 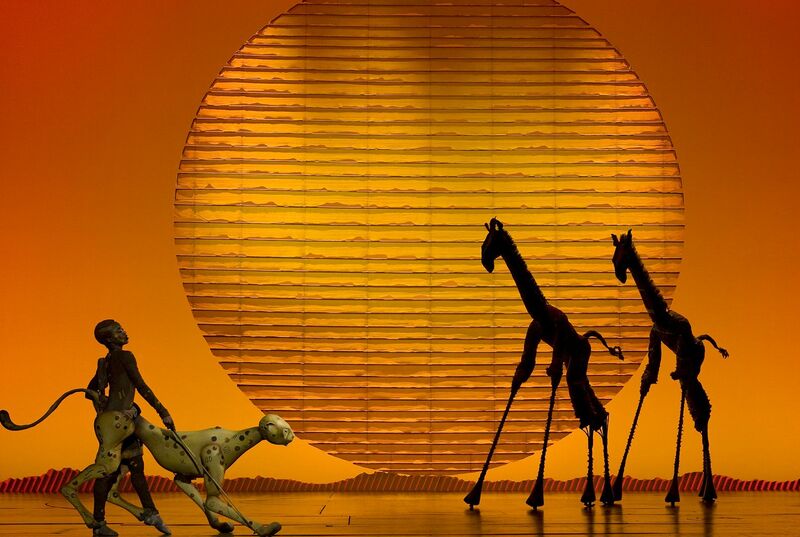 The company of “The Lion King” and a panel of autism experts collaborated on ways to slightly modify the show to make sure autistic children did not have negative reactions to loud or sudden sound or light cues. The volume in the opening number and other scenes, including the sound of a roar, was turned down. All strobe lights and lighting that panned into the house were cut. The sound and light reductions were done electronically so that neither the actors nor the orchestra had to tone down their performances. Off stage, there were small activity and quiet areas set up in the lobby for children who needed a break from the show. Volunteers from local autism organizations were on hand to offer assistance. Victor Irving, the Minskoff’s house manager, said he asked the pedicab drivers who park outside the Minskoff to refrain from ringing their bike bells. The results of the show were so positive that TDF is considering organizing additional autism-friendly performances in the future. TDF Accessibility Programs (TAP) was established in 1979 to provide access to the performing arts for people with physical disabilities. TAP serves theatergoers with mild to profound hearing loss with regularly scheduled open-captioned and American Sign Language-interpreted performances of Broadway and Off-Broadway shows; theatergoers who are partially sighted or blind with special audio-described performances; people who for medical reasons cannot climb stairs; and, people who require aisle seating or use wheelchairs. For more information on TAP’s services, go to www.tdf.org/tap. Our goal is to be as inclusive as possible, welcoming families with children and adults on the autism spectrum, including Asperger’s syndrome, to fill the theatre and be assured that everyone involved with the production—from the cast, production crew and theatre staff—is delighted to have the audience there. No judgments—just united support in making the theatre experience as enjoyable as possible for its audience. 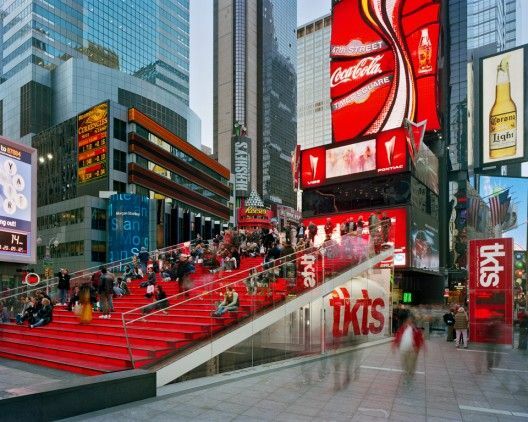 The Theater Development Fund runs the TKTS discount ticket booths in New York City. TKTS has two locations in Manhattan. They sell day-of Broadway and Off-Broadway tickets for up to 50 per cent off. It is a win-win situation. The public has the opportunity to buy tickets at a discounted price, and the shows sell seats that would otherwise sit empty. Plus, the profits help patrons with special needs enjoy the theatre experience. It certainly makes me want to buy my Broadway tickets at the TKTS ticket booth. Congratulations to all the people involved in last weekend’s event at The Lion King. The show was a sell-out and everyone was pleased the audience was thrilled with the experience. Oh Dear!! No mention of Clay Aiken in this article. I would imagine that Clay was proud that his colleagues participated in this wonderful project. This is Inclusion at it best! That's very cool! I'm sure it was a great performance for the attendees and the actors. Thanks Musicfan for bringing this to our attention. I had no idea about this. How wonderful that those people with autism, were able to get out and enjoy a performance, and how wonderful for the theatre to change up the show, so that the loud noises, lights, would not disturb the autistic people. These are the things that need to be out there more for the public to see…The good things…There are far more good than bad..and we truly do need to focus on these wonderful things. This was great…. Yes…Clay would be so impressed…We know he is all about Inclusion. Bravo for Broadway!!!! I'm very impressed that they worked so hard to make an inclusive production so that all children could enjoy The Lion King (which I saw when it toured through my area, it is wonderful). Wow, I had no idea broadway did this. I don't know if people were doing these things before Clay Aiken came along and he started his foundation. If not, he should be so proud that he has started the awareness and people have joined the inclusion bandwagon. I'm sure Clay is happy and proud. musicfan – That was a very inspiring and heart warming blog to read. It was wonderful to learn of the TDF Accessibility Programs and Broadway's involvement in them. Seems like there are a lot of good people looking out for those with disabilities who need help to experience a fuller life. Great to remember that all in this life is not gloom and doom, nor is represented by greed and indifference. Clay Aiken is certainly another excellent example of someone who promotes inclusion for all, through his National Inclusion Project. Amazing……..this makes you feel so good inside. There are a lot of wonderful people in the world. I hope that there will be more shows for children with disabilities. Thank you for reporting this good news!! This is a "feel-good" story. I did not know that this was happening this past week-end. It is a huge step forward for those in need. I bet Clay was smiling when he heard about this event!! Many thanks for informing us about this wonderful event!! This is such a wonderful article. Broadway certainly does many things to be inclusive for everyone. I think it is wonderful that they are able to produce a show of this grand style so that all children can enjoy it. Kudos to all involved. What a wonderful inclusion idea. Thanks for letting us know about this. Error: Error validating access token: Session has expired on Tuesday, 21-Aug-18 16:13:01 PDT. The current time is Saturday, 20-Apr-19 02:34:42 PDT.